Investing should be easy and accessible for everyone. Guess what? It’s not – and that’s why we created Smartly. If you’ve taken a look at this page, you’ll know that we have selected a very diverse range of funds, all backed by assets. These funds are designed to give you flexibility, performance, and peace of mind – for a minimal investment. 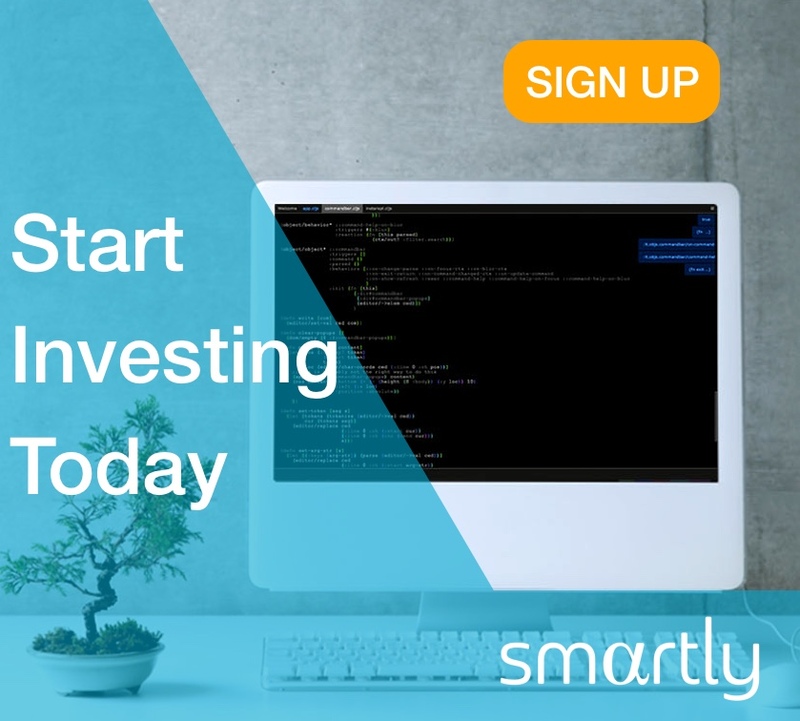 Getting started with Smartly is simple, and with your new investment portfolio you can be earning in just a few hours. You may compare starting out on your investment journey to planting a tree. It’s never too late – or too early – to take the necessary steps to accomplish your goals. The one thing we know, for sure, is that if you don’t plant that sapling, you will never grow a tree. In the same way, you will not achieve financial freedom if you don’t take that first step towards your investment journey. Here are the three simple steps needed to turn your hopes and dreams into reality. You won’t be asked for any personal information in this section. Just take a look around, get comfortable, and select the goals that are most important to you. When you have done that, click ‘NEXT’ and we will start on the fun part. This is where you tell us a little about your goals and aspirations. There are only 6 questions, but these enable us to offer you a personalized portfolio, based on your answers. You’ll see an interactive graphic that gives a “risk score” for your portfolio. In short, the lower your risk score, the more conservative your portfolio will be. Conversely, the higher your risk score, the more aggressive your portfolio will be. By the way, you can change this risk profile yourself at any time. This alters the structure of your portfolio and the bundle of investments that are recommended for you. We’ll also show you how much you can save on fees with us, when compared to the industry average. When you’re happy with that, we’ll get a little information to help us ensure that your account set-up goes smoothly. Signing up for your Smartly account takes less than 5 minutes. After you provide some basic personal details, we then start our part of the process. What are we doing? Well, basically, we need to ensure that you exist! This means that we complete a validation and approval process for security purposes. As soon as your account is approved, we will notify you. Generally, in less than 2 hours, you can be using the Smartly platform and be well on the way to accomplishing your goals. Now, it’s time for you to take control of your own destiny. Previous articleCustomer StoriesSmartly People: Meet Jack! Next articleCustomer StoriesSmartly People: Meet Alwyn!